Developed to help you achieve professional results in the comfort of your home. Formulated for sensitive teeth. 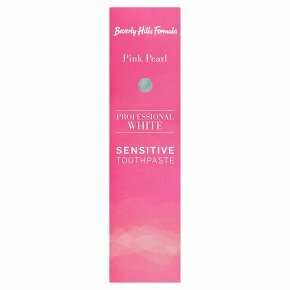 Contains professional whitening ingredient Phthalimido-Peroxy-Ca- proic Acid (PAP) and hydroxyapatite to bring safe and efficient stain removal and enamel protection to a new level. Advanced formula combines hydroxyapatite - a natural compound found in teeth and bones that is used to help repair enamel micro-lesions and potassium nitrate providing rapid sensitivity action. Proven to help deliver excellent stain removal results. Guidelines: Brush twice daily for 2 minutes. Suitable for daily use. WARNING:<br>Keep out of reach of children.<br>Product not to be used by children under 7 years old. Do not swallow.<br>Avoid contact with eyes.<br>If product comes in contact with eyes, rinse thoroughly with water.<br>In case of intake of fluoride from other sources consult a dentist or a doctor.